Thailand’s Election Commission Monday formally disqualified Princess Ubolratana Mahidol from running for prime minister for a party-linked to ousted prime minister Thaksin Shinawatra. The statement follows Thailand’s King Maha Vajiralongkorn move last week to crush the plans of his older sister, Princess Ubolratana, 67, to become a candidate for the country’s prime minister. 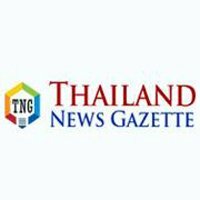 The Thai Raksa Chart party had announced Friday that Ubolratana, 67, would be the party’s prime minister nominee for the March 24 election. The political hopes of Ubolratana were dashed almost immediately when Maha issued a terse statement saying his sister’s candidacy was “highly inappropriate” and went against tradition and national culture. In an Instagram post Saturday, the princess, without mentioning her brother or her dashed political plans, thanked her supporters for their “love and kindness” and expressed a desire to see the country expand rights and opportunities for citizens. Thailand will hold elections on March 24, the first since a 2014 military coup. Prime Minister Prayuth Chan-ocha, the general who led the coup is a candidate to retain his post and is the preferred choice of the military. Thailand has been a constitutional monarchy since 1932.